Cairo, Egypt - For months, Gutama Gallatobati, a proud farmer and mechanic of Oromo descent languished in an Ethiopian prison over accusations he burned an Ethiopian flag. While inside, guards physically abused him. "Our case cannot be resolved with lawyers and judges and courts … We don't want legal protection, we want physical protection." 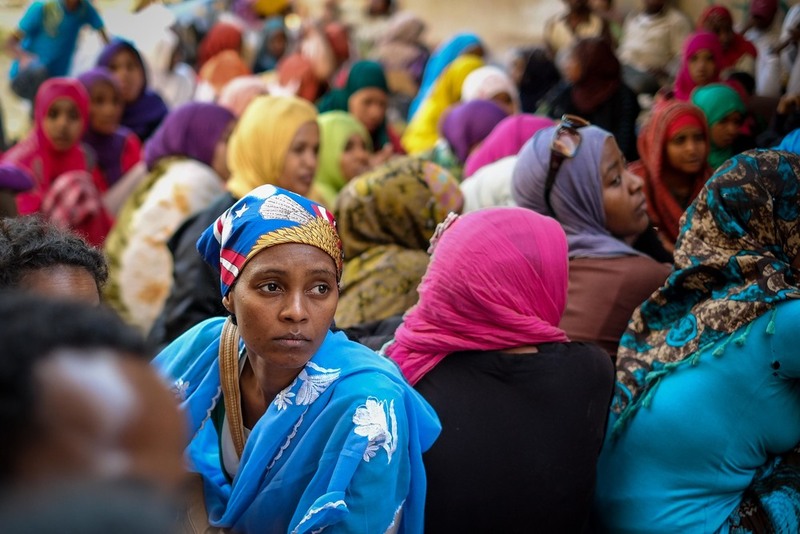 Over the last few weeks, there has been an emergence of xenophobic attacks against Ethiopians on the streets of Cairo, motivated by Ethiopia's goal to build the "Grand Renaissance Dam". In response to the project, Egypt's government has reached a new level of bellicose rhetoric. In a televised meeting of key government officials recently, former presidential candidate Ayman Nour suggested Egypt launch air strikes to stop construction of the dam. Others proposed destabilising the Ethiopian government by funding rebel groups. The Oromo in Egypt are now caught in the middle here and say they're facing increased hostility from Egyptians. Jeylan Kassim, head of the Oromo Sons/ Daughters Refugee Association, has played a leading role in organising the protests. "We will not leave until the UNHCR will protect us," he told Al Jazeera. But the Oromo say this is not enough. "Our case cannot be resolved with lawyers and judges and courts … We don't want legal protection, we want physical protection," says Mohamed Zein, a journalist from Ethiopia. The UNHCR acknowledges the situation is a difficult one but says its options are limited. "The outcome is not in your hands. As the United Nations, you don't get involved in [internal] politics," says UN press officer Ahmed Aboughazala. When 33-year-old Gutama Gallatobati arrived in Cairo a month ago, he thought his biggest troubles had been left behind. A week ago, however, his landlord evicted him from his apartment and his belongings were taken. When asked what reason he'd been given, he sighed: "The Nile." "They said if you take our water, we will take your blood," recounted Abdi Harboury, a lanky youth shy to make eye contact. Hussein Ahmed, an asylum seeker who has been in Cairo almost two years, admitted he lies when asked about his origins. "I was at the barber and he asked me, 'Where are you from?' I said Nigeria. I am scared to say I am from Ethiopia." Some police officers have told locals passing by that the refugees are not suffering, and are being paid by the American government to protest, the Oromo say. "They protest in the day and then at night they're paid and many of them leave," said a young officer, who declined to give his name because he was not authorised to talk to the press.